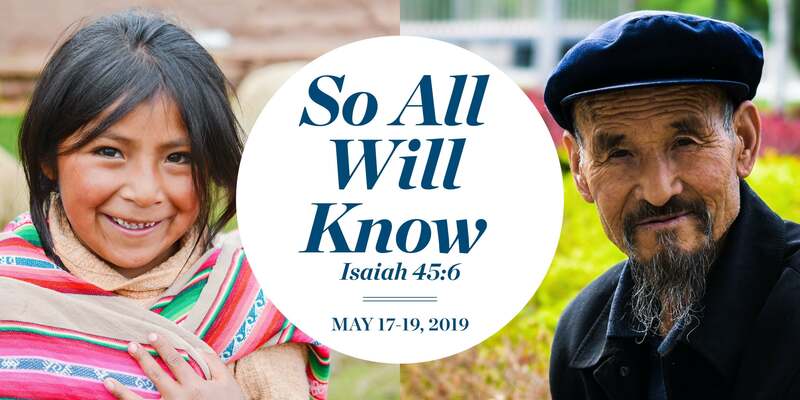 Thank you for registering for Biblica’s “So All Will Know: A Biblica Ministry Weekend.” We are so excited to host you during this special event. You may have some questions and we want to help answer those below. If you have questions we have not answered, please feel free to contact Taylor Riskey at [email protected] or phone at: 719-867-2653 (office) or 719-722-4266 (mobile). Is there a suggested hotel for the event? Where do I go when I arrive at the Museum of the Bible? Where will our meetings be held? What is the Welcome Reception? What can I expect in the Breakouts? Will I have time to explore the Museum of the Bible? Can I come and go from the Museum? Will I have the opportunity to give to Biblica? What will happen on Sunday morning? Once you arrive at the main entrance of the Museum of the Bible (400 4th Street, SW, Washington, DC), you will go through a security screening before you enter the lobby. Please allow time for the security screening. We will have a guest registration table in the lobby. There you will meet one of our staff who will give you your welcome packet and will guide you to our meeting space. Biblica will take care of you from there! All of our meetings and meals will be held in Gathering Room A on the sixth floor of the Museum. All of the museum spaces are easily accessible by elevator or stairs. The “Welcome Reception” will be a time for you to meet the Biblica staff and Global guests, as well as to meet other ministry investors. We believe that one of the great “take-aways” of this weekend will be the relationships you develop, and we want you to have the opportunity to meet others and to allow us to get to know you from the beginning of the event. Every session will start with a time of corporate worship and prayer as we want to express our thanksgiving to God and tune our hearts to hear what God has in store for us. Each planned session will include experiences that will take you to different parts of the world to engage with what God is doing there in the movement of His Word. The Breakouts will allow you to hear from some of our global leaders about the celebrations and challenges in their areas of the world. You will hear about upcoming projects, key language groups and new initiatives for the worldwide Biblica family. The registration table will open at 4pm on Friday, allowing you the opportunity to explore the museum before the Welcome Reception begins at 5:15pm. If you will arrive earlier than 4pm on Friday, please let us know so that we can arrange for you to have a ticket to visit on your own. All of our guests will have tickets for the Museum on Saturday. We will have guided tours available (45 minutes) on Saturday afternoon during the allotted free time or you are welcome to explore the museum on your own. Free time is exactly that! We want you to have time to enjoy your weekend and that looks different for everyone. You are welcome to linger at the museum or take in one of the many other museums or sights that DC has to offer within just a short walking distance or cab ride. We also recognize that you will be taking in a lot of information, so this will be a welcome time to reflect and process. We would kindly ask that you stay for as much of the programming as possible as we have prepared it with you in mind. Security is tight at the museum, so if you need to exit the museum and come back, please let one of our staff know so that they can ensure that you have the proper ticket to re-enter. The attire for the event is business casual. Please wear comfortable walking shoes so that you are able to take in all that the museum has to offer during free time. Saturday’s dinner and program will be the capstone for our weekend and some guests may choose more dressy attire for that evening. Whether you are new to Biblica or have been in the Biblica family for many years, this weekend promises to provide avenues for you to deepen your involvement and commitment to the ministry. Saturday evening, there will be an opportunity for you to invest and prayerfully identify where you would like for your gifts to make Kingdom impact. Sunday morning, we will culminate our time with bringing glory to our God through corporate worship, Scripture reading, prayer and communion. This time will allow us to celebrate and reflect on how God moved during our time together and to anticipate how God will use each of us to in the Great Commission (Matthew 24:14). We believe that God is inviting us all to connect with Him in a greater way during our time together and we anticipate that you will feel and know His Presence throughout our time! See you soon.